In der "reisenden Hochschule" lernten 11 Studentinnen des 3. 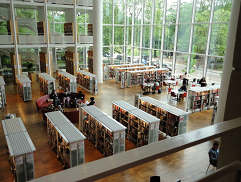 Semesters vom Studiengang Bibliotheks- und Informationsmanagement nicht nur schwedische Bibliotheken in Malmö, Nässjö und Stockholm kennen, sondern machten ihrerseits eine Fortbildung für die schwedische BibliothekarInnen. Dieses Konzept wurde von Gullvor Elf, die Gastdozentin im Studiengang war und Prof. Susanne Krüger vorbereitet. 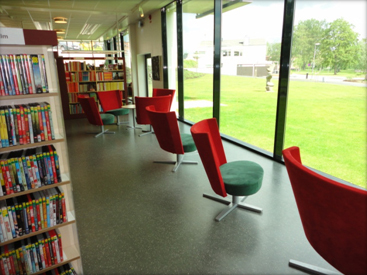 Gullvor Elf ist derzeit Leiterin einer Bibliothek in Nässjö, die innerhalb eines großen Kulturhauses eine zentrale Bedeutung genießt. Die Verkehrssprache war selbstverständlich Englisch. 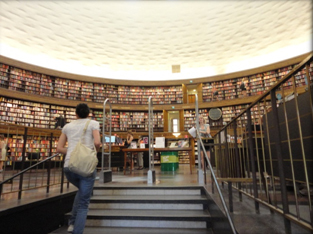 What are the differences, what are the similarities between the Swedish and the German library system? How can we learn from each other and what should be the consequences? 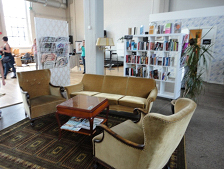 The seminar started as an idea, to bring Swedish librarians and German students together to share and exchange their views. It ended as an lifetime experience for all of us, never to be forget. Gullvor Elf and Susanne Krüger made the meeting between Swedish librarians and German library students possible. 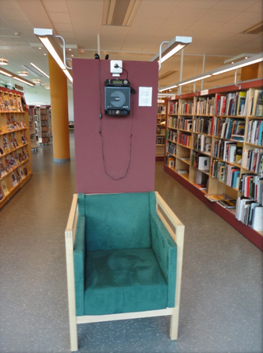 Twelve students and Professor Susanne Krüger from the Stuttgart Media University started their journey through Swedish libraries in Malmö, where they met Gullvor Elf, head of the Nässjö Public Library and former guest professor in Stuttgart. Together we visited the Malmö Stadsbibliotek. The very committed librarian Andreas Ingefjord gave us a guided tour and introduced to us the current planning for a new tween department (for children in the age between 9 and 13). His enthusiasm and openness and the will to never stop developing and improving the librarian services proved to be main characteristics of all Swedish librarians, we met during our trip. 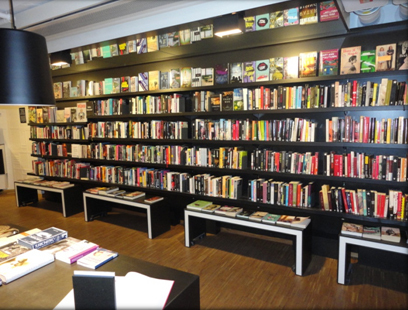 Not only musing about the present but also about future library work, we could not have had a better start for our visit to Sweden. In the afternoon we met Lisa Jansson at the Garaget. The former machine factory had been vacant, when the citizens had, among others, the wish to place a library in the building. The result is a public living room, a place where people can go to relax, drink a coffee and read a book, but also a place, where they can meet or even have a party. During our stay it became obvious to us, that not only the Garaget but also the librarian is very popular among the visitors. Our journey led us to Nässjö and the next day we finally met Gullvor Elfs young colleagues. 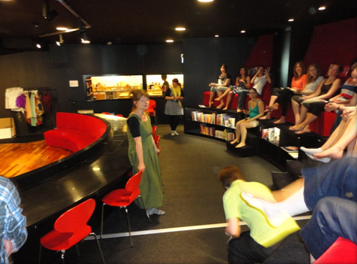 After being showed the Pigalle Kulturhuset, which also hosts the Nässjö Bibliotek, and getting to know each other, we got started with the seminar. Presenting each other the library services in both countries in different fields such as library services for elderly people, children or immigrants, we found out, that there are many similarities but also many differences between Sweden and Germany, the biggest being the existence of a library law in Sweden and the lack of it in Germany. The day ended with a barbecue and traditional Swedish music in the beautiful landscape of Småland, leaving the German guests not only impressed by the great Swedish libraries but also by the Swedish hospitality. In the next morning we already had to say goodbye again. Leaving behind Nässjö and the friendly staff of Pigalle Cultural Center was not easy, luckily Gullvor Elf and her colleagues of the library joined us, when we went off to Stockholm. After a short peek into the Public Library we made the acquaintance of Larry Lempert, manager of the Internationella Bibliotek in Stockholm. Being brought up in a bilingual environment himself he emphasized the value of every language and that it is the right of everybody to speak and improve his or her own language. Something the International Library can play an important part with, since you can find media in over 100 languages in it. The evening passed fast, eating, talking and enjoying the atmosphere of the old town of Stockholm together. Our very last day started. We went to the Kulturhuset at Sergels Torg in Stockholm. 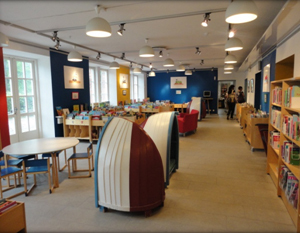 It hosts TioTretton, a "library for all senses" for children in the age between 10 and 13 – and a grown-up free zone, where the children can do whatever they want: reading, playing (theatre), cooking, doing crafts works or just hang out. 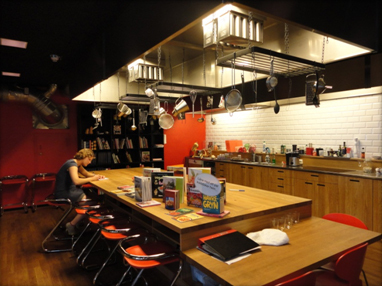 We all agreed that if it wasn't for the strict age restrictions, we would definitely spend our free time in Tio Tretton! The week had gone by way too fast and we had to leave. 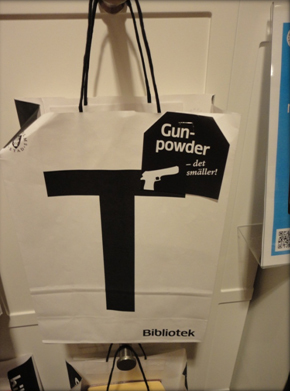 And what better place to say goodbye could librarians find as the Sture Bibliotek in the Östermalm Underground Station? In this quiet oasis in the middle of Stockholm rush hour we finally had to part, hoping to see each other again soon.